We are waiting clearence to upload songs or samples from some the artists below..
We have also recorded some tracks with HEFNER on their single 'The Sweetness Lies Within' out now on TOO PURE. The tunes with the Cushy touch are 'Hymn For Berlin', 'Hello Kitten', and 'Normal Molly'. You may have already heard another Cushy recording of 'Brood Mare' which is on a Too Pure/City Slang Compilation 'Wow and Flutter' and has enjoyed quite a few plays on Radio 1 and XFM. 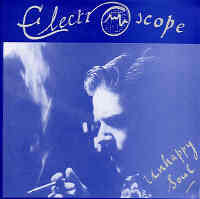 Also out now is the ELECTROSCOPE single 'Unhappy Soul' on the LISSYs label. The A side is a Rhatigan song recorded here and three brand new Electroscope songs, 'Magic Latern Show', 'Horace Bachelor's Method' and 'If your Ship' on the B side. Or e-mail us with your details.